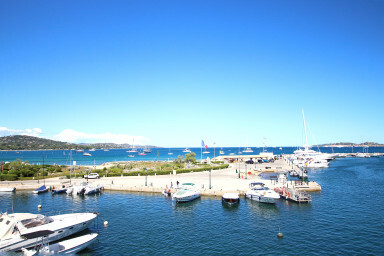 Lovely two-room apartment with a mezzanine next to the beach of Port-Grimaud. It has been totally renewed and has the air-conditioning. A living-room with a well-furnished open kitchen and a mezzanine that was done as a bedroom with a double bed, a separate double bedroom, a shower-room and separate toilets. A nice loggia with a marvellous view on the bay of Saint-Tropez and the entrance of the harbour. A very modern apartment with a great location next to the beach.